Let me start off by saying that I promise I am wearing a bathing suit in all of these pictures! I didn't realize until it was too late how exposed the angle was....so don't panic! It's no secret that the majority of my life these days is spent at the beach or the pool. 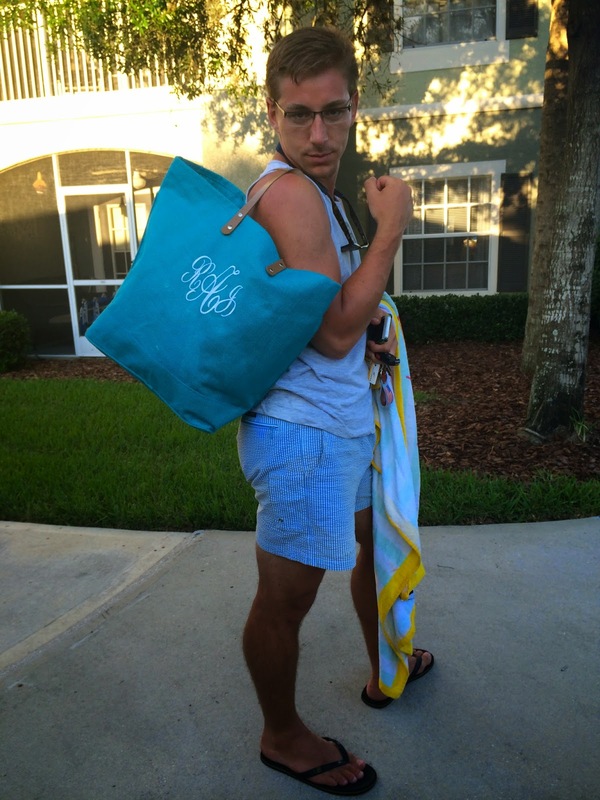 I have a bunch of totes that I use for the beach, but they are never big enough. When I go to the beach I have a lot. We bring beach chairs, towels, books, food, drinks, games, etc. This bag from Marley Lilly is the perfect size. It fits everything I need and is super easy to clean off if you don't want sand everywhere! Truth be told, I used this bag for a week before taking these pictures and managed to spill pina colada on it as well as get sand into ever crevice. But, all it took was a quick brush off and it was ready for its debut! 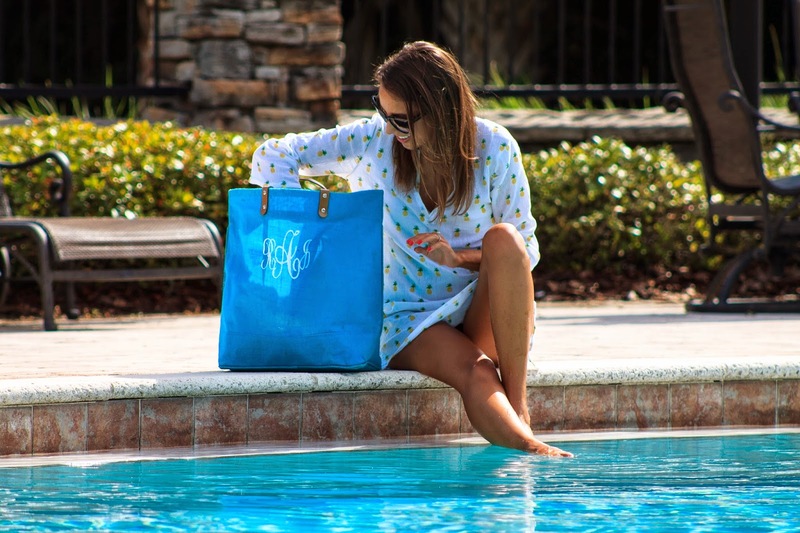 If you're in the market for a beach bag this summer this one is a no-brainer. 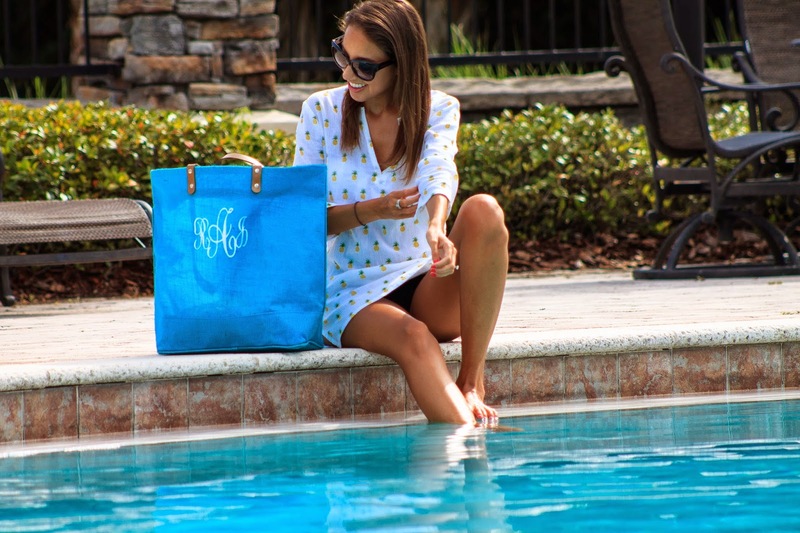 Big, monogrammed, and under $30. Your biggest worry will be choosing a color! p.p.s. He may have a sneaky surprise for you all tomorrow! You are so cute!! Loooove the color of your bag! What a CUTE bag... and I'm still obsessing over your pineapple cover-up too ;) Oh hey... nice new design! LOVE the bag!! I absolutely love Marley Lilly but have been trying to be good about not purchasing anything from there for a while. I went on a complete spending frenzy when I got married and changed my monogram and I am not sure that my bank account has quite recovered yet... BUT I might need to just purchase this bag because well I don't have a beach bag so the hubby can't get that mad, right?? Haha work it Dom!! I love your new design!! 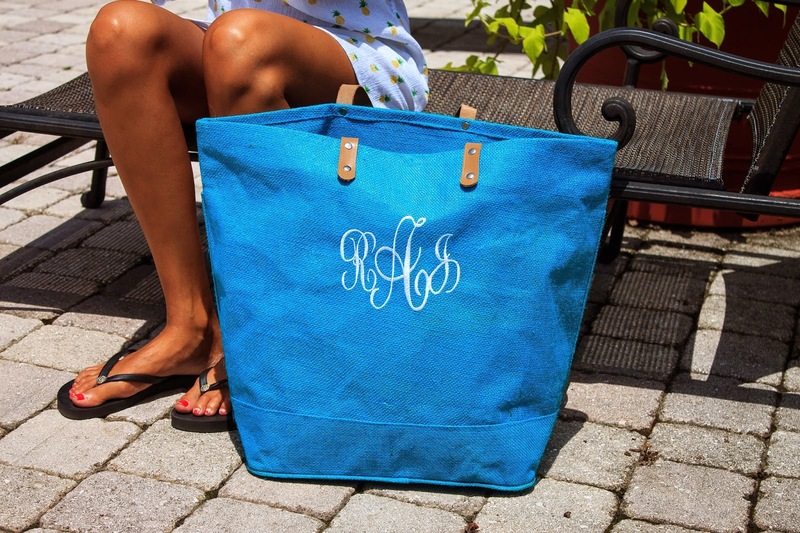 It seems like I am ALWAYS on the hunt for the perfect beach bag. Will have to give this one a try! Thanks for sharing! You got it in the bag Dom! That bag is adorable. With the monogramming, I would've guessed it cost much more! National Wear Your Lilly Pulitzer Day! The Day I Almost Got Eaten By a Manatee. June Goals and #4WeeksFit Results!